Neck feeling tense? Shoulders stiff and tight? Whether you've been hunched over at your desk for too long or you've been hitting that Hot Yoga class a little too hard recently, it's time to give your body some much needed TLC with the help of Laboratoire du Haut-Ségala. 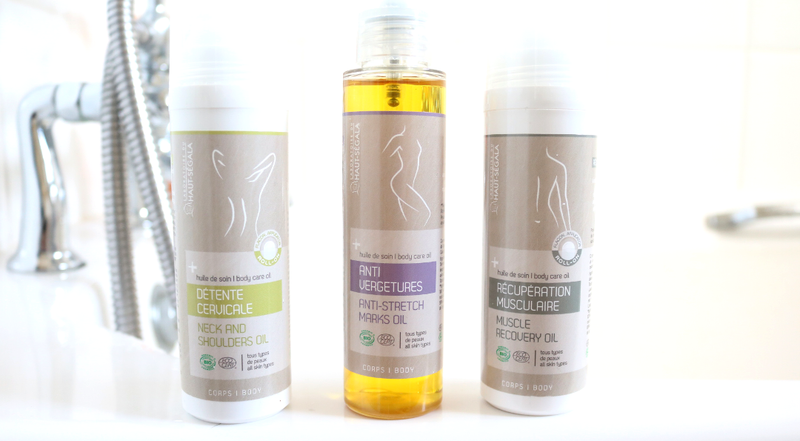 Laboratoire du Haut-Ségala is a cruelty-free, French natural and organic skincare brand which mainly specialises in pure, cold-pressed plant oil-based products (although they do a lovely range of toners and floral waters as well which are not to be missed!). They have a strong wellbeing ethos that fits perfectly with their eco-friendly approach to skincare, and all of their products are Ecocert certified. Their formulas have been reworked from traditional and age-old skincare recipes, meaning that everything is as natural and simplistic as possible, whilst still being incredibly effective for the health and wellbeing of the skin. Needless to say, you won't find any 'nasties', preservatives or synthetic fragrances in anything that they offer. I've used body care oils for years, so I was keen to try some from Laboratoire du Haut-Ségala for a little luxury self-care pampering this week. I'm one of those people who carries a lot of tension and stress in my neck and shoulders, so this product was literally made for someone like me, and it is an absolute godsend! This dedicated oil is super relaxing and soothing with a blend of Organic Arnica and St John's Wort to help relieve all those niggling symptoms of daily stress and anxiety that build up in the neck and shoulders. There's also Organic Lavender, Orange, Wintergreen and Chamomile essential oils to further soothe and relax the muscles, and I love the handy rollerball that makes applying it so quick and easy. 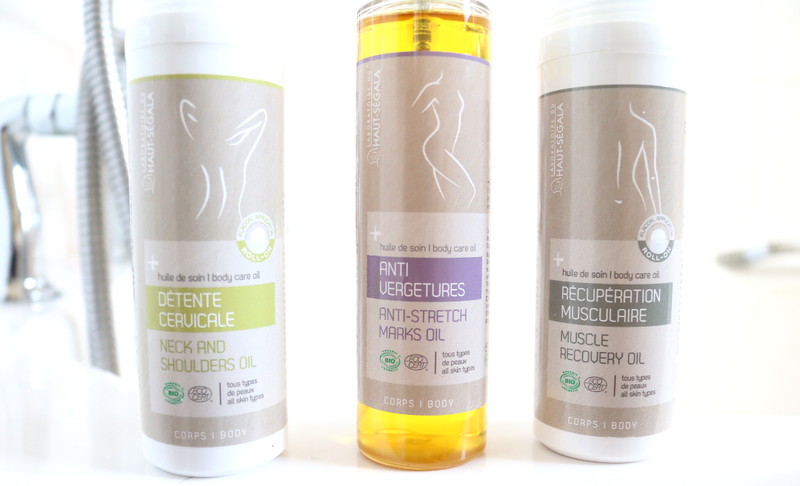 Give your body a confidence boost with this Anti-Stretch Marks Oil. Not only has it been specially developed to help reduce the overall appearance of stretch marks (both existing older, and newer ones), but it keeps the skin hydrated and smoother for longer with a nourishing composition of Organic Prickly Pear Flower, Jojoba Oil, Calophylle Oil and Centella Asiatic extract. Skin is left feeling much firmer with improved elasticity so it's perfect for those 'wobbly' bits! Please note this oil isn't suitable for pregnant or breastfeeding women. Finally, the product that I've been using the most often recently has been the Muscle Recovery Oil and it's been coming in so useful to use after a yoga or pilates session. Like the Neck & Shoulders Oil, this also has a convenient rollerball which makes it easy to apply to help soothe sore and tired muscles all over the body. It's formulated with a range of beneficial natural ingredients such as Organic Arnica Oil, Harpagophytum extract, Rosemary and Lavender essential oils to relax and ease muscle tension, and it can also be used pre-workout to help prevent muscle spasms. I found the oil to be nourishing, non-sticky/greasy, and easily absorbed like all of the other Laboratoire du Haut-Ségala products above. Are you a fan of wellbeing body care oils?